-Welcome to SmackDown Live, a mere two weeks away from Backlash! Jinder Mahal is well and truly under the skin of Randy Orton. If it wasn’t bad enough that he stole the Viper’s title on last week’s SmackDown, he then cost him the House of Horror’s match against Bray Wyatt. Mahal is still in possession of Randy’s title and the Viper will almost certainly be out for revenge on tonight’s show. This feud has been surprisingly fun so far and it will hopefully continue on that trajectory tonight. At the Raw-exclusive PPV, Payback, on Sunday night, Chris Jericho defeated Kevin Owens to become the United States Champion. This means the face of America is now without a title and, as of now, his scheduled match with AJ Styles at Backlash is off. However, KO gets his rematch against Jericho tonight, giving him an opportunity to regain the belt and move on to Styles. This should be a fun match and I wouldn’t be surprised to see Styles on commentary. Since arriving on SmackDown Live, Charlotte Flair has had a hard time fitting in. She ran roughshod over the Women’s division on Raw, however she’s been a little outnumbered by SmackDown’s resident mean girls. Being consistently bullied and ganged-up on, has led Charlotte to become the babyface, and tonight she will team with Naomi to face Carmella and Natalya. It will be interesting to see Charlotte in this new role but it leaves the question as to who will be challenging Naomi for the title. All this and more to look forward to on tonight’s SmackDown Live! Let us know which match or segment you are most excited to see, and remember you can check out this and all our coverage on the !free! 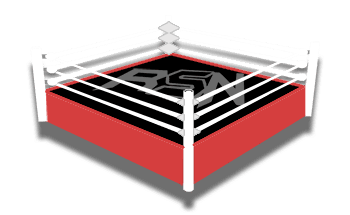 Ringside News app! Enjoy the show!